"Call for Artists: 2009 International Art Competition"
X-Power Gallery is accepting applications for their 2009 International Art Competition. Application Deadline: 01/20/09. Mission: X-Power Gallery specializes with unique criteria in gathering and collecting the finest art works of the East and the West, offering its management expertise to talented artists. By bringing a variety of art works to art lovers, X-Power Gallery aspires for all people to enjoy and be inspired by the beauty of art in art appreciation, and furthermore, to open a window to a beautiful life. The X-Power Gallery is geared to organize domestic and overseas exhibitions for the art creations by Gallery�s contracted artists, promoting the eastern and the western artists to the international market, guiding the collectors into the incredible Temple of Art, and making the most substantial and immediate contribution to the international cultural exchange. The X-Power Gallery is oriented to comprehensive management to establish the distinctive brand name and to drive art and culture to develop steadily in continuing prosperity. 1. Manage art fund with equal focus on investment and collection. 2. Plan and organize publications, seminar, workshop, and exhibition events. Organize collaboration with other parties. 3. 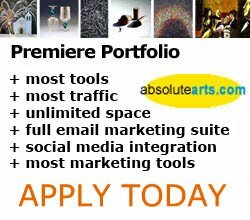 Discover and develop emerging artists with great potentials. 4. Work with charity groups or enterprises to bring in artists to participate in the design of public arts. Through art, the human hearts are deeply touched for the glory, perfection and goodness in the human nature that go beyond time and space. Each entrant can select ONLY ONE exhibition venue on the entry form!! NOTE: Exhibition Time Frames are totally DIFFERENT at two different venues!!! Please select your preferred exhibition venue carefully!!! Master Lee Sun-Don, the 3rd Patriarch of Buddhist Forshang, born in Kaohsiung of south Taiwan, is the pioneer of �Totemic Energy Oil Painting,� a genre characterized by mind-awakening aesthetics. Based on spiritual enlightenment, Lee�s totemic artwork catches Zen wisdom and the ineffable harmony of the universal energies. More impressively, although receiving no academic training, Lee develops totemic aesthetics that challenges, transcends, and opens up the horizon of contemporary art. It is no wonder that his emergence in the art circles soon catches incredible attention and commendation from all over the world. This year (Jan.-Nov.), Lee has won more than thirty honorable recognitions across the globe, including the prestigious RWS / Sunday Times Watercolour Competition in UK, the Royal West of England Academy 156th Autumn Exhibition, the 29th Gredos Prize for Painting in Spain, the 55th Stockton Art League Juried Exhibition, the L�Chayim Art Show in USA (wining 2nd Place), and four French International Autumn Salons (e.g., Lun�ville). His artworks have also been selected and invited to exhibit in the museums and expositions of great renown: MOMA in Wales, Russian Academy of Arts, National Art Museum of China, Museum of Kyoto in Japan, Haggin Museum in USA, Gallery Gabrichidze in Belgium, Gallery Silver Brush in Finland, and Florence Biennale 2009 in Italy, just to name a few. Appreciating his creativity, many international-celebrated art societies in Europe, America, and Australia have granted him membership, of which is the 1754-established Royal Society for the Encouragement of Art, Manufactures & Commerce, best known as RSA � the first art society that was conferred upon the title of �Royal� in British history. Camaver Kunsthaus International, an Italy-based art group with galleries located in EU and USA, even exalts Lee as the �Top Artist� � in the past 60 years or so only five artists in the world have received such honor. I. Work with many charity groups, enterprises, and international artists for many well-renowned public art projects, such as �Front Courtyard� and �Art Tunnel� of Yuan-Dao Kuan-Yin Temple, and the window design of GP DEVA�s office�etc. II. Executive Curator for exhibition �Taiwan Wind� & �The Diamond Sutra of the Supreme Huayan� at prestigious Culture Gallery at the National Concert Hall. IV. Executive Cirator for exhibition �Empreinte de peinture � Paris Painting footprint in Paris� at Galerie de Nesle.